Class booklets are an essential component of an excellent childbirth class. They help class participants to retain information and they are also a valuable resource covering information an educator may not have the time to go over in class. Learn more about these booklets by contacting the publisher and also visiting their websites. A preview or sample copy of the booklets are sometimes available for review at the publisher’s website. Also, if you contact them directly they may send you a hard copy. 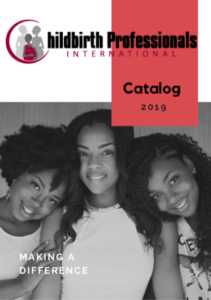 2018 Update of Book "Called to the Childbirth Profession"
This entry was posted in Resources and tagged birth booklets, birth class curriculum, birth class handouts, childbirth class curriculum, childbirth class handouts, pregnancy class booklets, supplies childbirth class. Bookmark the permalink.